We all like purses, especially those ‘tweens who are defining who they are and developing their own style. Some have more fashion sense than others. 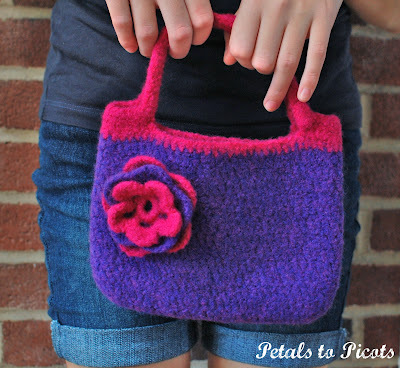 Since most of us enjoy crocheting things for the young ones in our lives, I’ve gathered a few cute purse patterns that might tickle your creative senses. 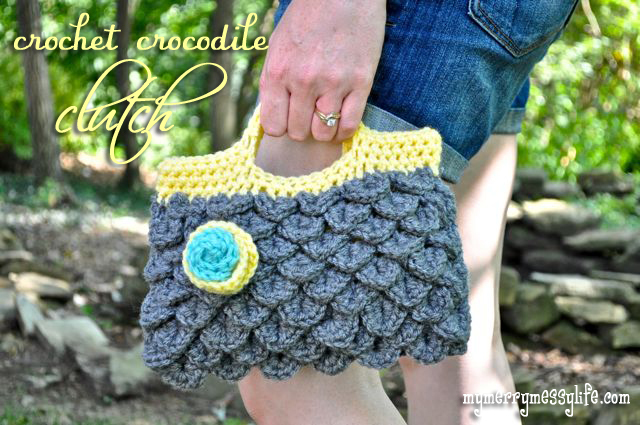 First is a crocodile stitch purse. This seems to be about the hottest thing in crochet right now. And it’s surprisingly easy! Sara, who claims to have a merry, messy life has created this very tidy little purse that is sure to be a hit when worked up in your recipient’s favorite choice of colors. The cute floral embellishment can be made removable, so you can change it out to suit your (her) moods. Get the free pattern here. Then Kara has created this very pretty little felted bag (felting is positively addictive!) that will work up quickly for you. I think this design can be made more or less sophisticated depending on your choice of colors and the embellishment(s). Get your free pattern and step by step instructions here. Then I found this fantastic looking purse/tote that would be perfect for holding ballet slippers, gym shorts, or, hmmm, yarn and hook?? 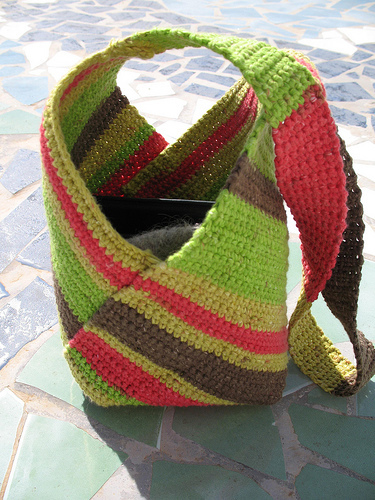 The fun part here is how the purse is folded to create this unusual look. There’s a video to show you how – and, (of course since it’s me recommending it) your free pattern here.